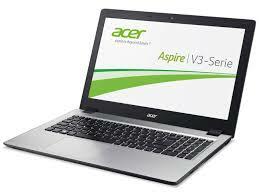 Acer Aspire laptop is one of the most popular laptop in the market. We carry all kind of LCD and LED screens for Acer Aspire models, just give us a call or fill out the free quote form, and we will have your aspire laptop screen replaced on the same day! At Laptop Screen Replace our turnaround time is fast, inexpensive and efficient. In most cases the Acer Laptop LED Screen are replaced the same day on the spot within 20 minutes. Compared to most of our competitor you would have to wait 2-3 days or even weeks, while all our Acer Laptop Computer Repairs are done locally, within our tech lab. Acer Aspire touch screen laptops are gaining popularity in recent years. These new touch screen laptops are not only fast, potable; they also allow you to enjoy the luxury of using it as a touch screen. To replace a broken Acer Aspire touch screen will usually involve changing the touch glass and the LED together as these cannot be separated. There are two different resolutions for these type of touch screens, please let us know your screen resolution or we will help you to identify it. Call us at 1300 829 893 or email us at info@laptopscreenreplace.com.au if you have any questions or would like to arrange an appointment for your Acer laptop screen repair.